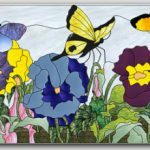 Summer is here in Maryland, and we’re happy to bring you our newest free monthly stained glass pattern: “Summer” rectangular stained glass panel 34″ x 16″ 315 pieces Fun! Feel free to share the link, tweet it, and help us to spread the word to glass fan-atics, mosaic artists, glass painters, quilters, woodworkers and cross-stitchers. Enjoy! 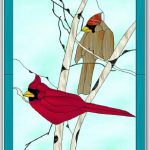 Holiday season is here, and we’re happy to bring you our newest free monthly stained glass pattern: “Christmas Suncatchers” Fun! 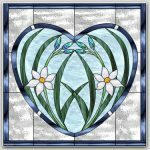 Feel free to share the link, tweet it, and help us to spread the word to glass fan-atics, mosaic artists, glass painters, quilters, woodworkers and cross-stitchers. Enjoy! 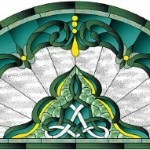 Free Monthly Stained Glass Pattern is Posted! The March 2014 Free Monthly Stained Glass Pattern is Up! 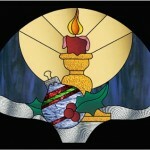 The Nov-December Free Monthly Stained Glass Pattern is Up!